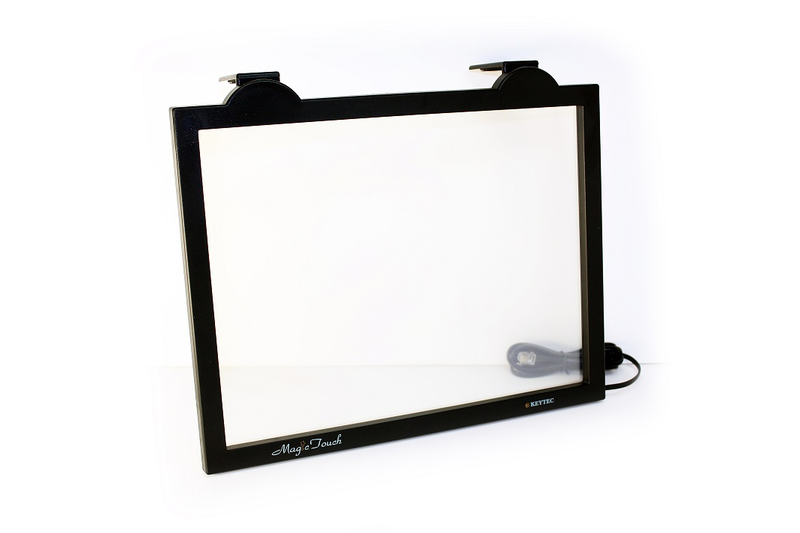 Magic Touch® by Keytec is a glass touch screen for 13-15" LCD or CRT Monitors. It easily attaches to your monitor, and transforms it into a touch interactive device. Magic Touch emulates a mouse, so you can control all mouse driven software with the touch of a finger or stylus. To move the cursor, simply touch the desired position on the Magic Touch. If you want to double click, touch twice at the same point. To select an icon, touch and release. To pull down a menu, touch, drag and release. Magic Touch and a pointing device can be used simultaneously. Included with Magic Touch is a soft tip stylus. The sizes listed below are the maximum size monitor that the Magic Touch will fit. Magic touch can be easily installed and removed. No need to open up the computer case, and no power supply is needed. Magic touch can be activated on touch by almost anything - finger, fingernail, gloved hand or stylus. Magic touch and mouse can be used concurrently. On-screen utility icon allows easy swap of left-right mouse-button functions. 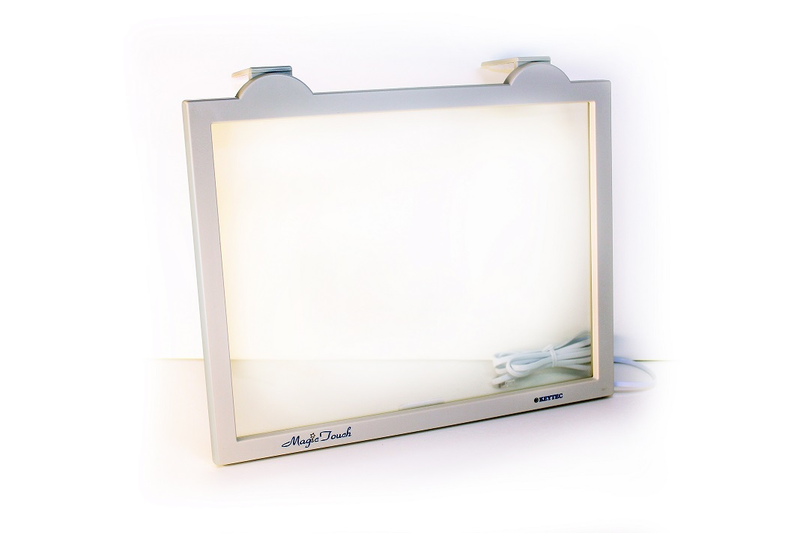 Magic touch can eliminate the electrostatic and significantly reduce the radiation generated from the monitor. Magic touch has excellent scratch resistance and chemical resistance. It may be cleaned with household cleaner, like Windex. WIN Vista, 98, 2000, XP, ME, Linux.